Vaartjes Transport Hengelo (OV) is a Transport / Logistic specialist for complex / precision products. Branches: Building, Turbines / Generators, Food-machinery, Hitech-Electronic, Commercial, Packing, Oil-Energy, Railway, Solar, Valves,-Industry. due to the powerful truck mounted cranes, closed transport swap bodies, low-bed-trailers and very experienced drivers who are used working with very heavy and large objects safely and managing it into the exactly right location. your logistics partner in precision transport, storage and shipment, container– and mobile office units rental. 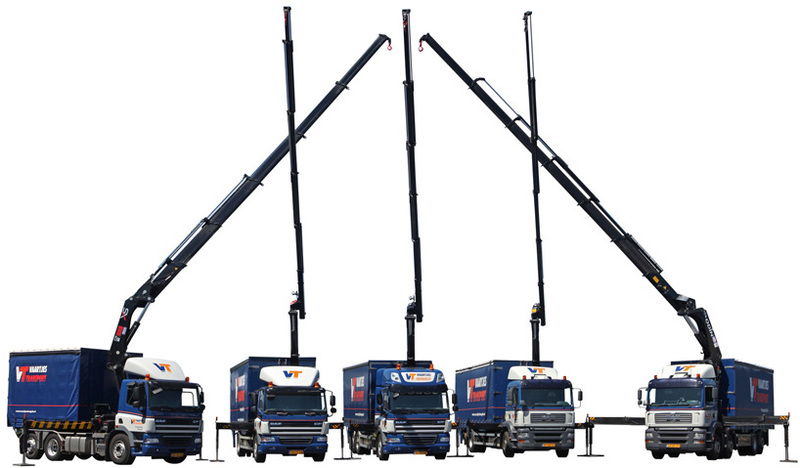 Vaartjes Transportation in Hengelo, a specialist in loader crane transport, both Germany / Netherlands and in the region Almelo, Hengelo, Hengelo, Haaksbergen region Delden, Denekamp, Enschede, Losser, Oldenzaal, Weerselo!